Looking for some additional fun on Diwali? How about the thrill of online rummy & a chance to win upto 2 Lac in prize money?It is time to feel the thrill again. Diwali Rummy Dhamaka tournament is coming to an end today with the DRD grand finale scheduled at 9:30PM. Deccan Rummy is always known for our high-value tournaments and offers. Diwali Rummy Dhamaka just proved it in every possible way. Having a history of hosting several successful tournaments, players always rely on us to provide high-value tournaments. Till date, we have been successful in satisfying their expectations. Diwali is a special festival for Indians. No other Indian festival generates as much excitement and razzmatazz as Diwali. Be it the joy of bursting crackers, sharing sweets with your neighbors and relatives, lighting up diyas and making our homes bright and colorful, celebrating friendship and camaraderie, Diwali is truly one of a kind festival that brings all Indians under one roof of giant celebration. In simple terms, it’s the celebration of triumph over evil, good over bad. One of the important events associated with Diwali is playing rummy card games. Urban legend has it that playing rummy during Diwali brings luck and prosperity. So, every Indian family followed it religiously and have been conducting house parties for playing card games. Now with the digitization of rummy game, rummy sites have taken the joy and fervor of playing rummy to a new level by hosting high-value free rummy tournaments with no deposit. Already deeply fascinated by the charm of the game, rummy enthusiasts have always been flocking to these sites to play these tournaments enthusiastically. Imagine winning a bag full of money simply playing your favorite game on this auspicious occasion, isn’t that too tempting an offer to pass by? Deccan Rummy’s Diwali Rummy Dhamaka was one such a high-value tournament that was open to all the players. As we firmly believe every player should have a fair chance to have a crack at the prize, we made the tournament as a freeroll. It was just a matter of time rummy players across India realized that it’s going to it is going to be a super-value event with enormous money coming in at no cost. Also, the thrill and fun of competing with players at all skill levels is too enticing an offer to pass. After all, rummy game continues to remain as one of the most popular card game in India. So, it came as a no surprise when we saw full occupancy in our qualifiers and semifinals which were named DRD Sparklers and DRD Maroon respectively. The tournament was extremely exciting and competitive just as we expected. Players across India swarmed in huge numbers and were intensely battling to get a chance to have a crack at this life-changing prize. Apart from the prize money, free tickets were issued for the players to progress to the next levels. Thousands of Rummy players availed these free tickets and promptly registered for the tournament. This easily proves how popular rummy game is among India. How to Play DRD Grand Finale? After an exciting 2 weeks of non-stop rummy action, we are now at the final point. Yes, we are referring about the DRD Grand Finale which is scheduled to happen today at 9:30PM. The prize pool for this spectacular tournament is a massive Rs. 2 Lakhs. Players who availed free tickets in DRD maroon should register at 6:30 PM. Even if you have missed availing the free tickets, you can still play with a small buy-in of Rs. 500. Who will take it down this time? No surprise, it could be even you this time! So, if you are looking to make this Diwali memorable, charge up your rummy skills for the ultimate rummy showdown – ‘DRD Grand Finale’ on Nov 5 at 9:30 PM! Good luck for this super-awesome tourney! Deccan Rummy’s Diwali Rummy Dhamaka is going great guns. Right from the day, we announced the tournament, the excitement has been huge, off the charts!! To ensure high player participation we marketed the tournament well in social media circuit. Lots of players enquired about the tournament through our support channel. Their immense interest in tournaments such as these is what that motivates us to strive hard to provide better rummy tournaments. Diwali is synonymous with card games. One important tradition of Diwali apart from other festivities such as bursting crackers, exchanging a greeting, preparing lavish cuisines, is playing rummy along with family and friends. It’s not amusing to see house parties conducted during Diwali exclusively for playing rummy game. Having realized the affinity towards online rummy, we designed this tournament well in advance to Diwali so that players can enjoy some superb rummy action. To ensure every rummy player has a fair chance of winning, we are hosting the tournament in 3 stages. The first leg of the tournament went underway last week and not surprisingly was a huge success. The past week turned out to be a blockbuster one for domestic online rummy players! With the who`s who from the Indian rummy circuit jumping in on the action, it was undoubtedly one of the biggest weeks in recent times. To make sure no rummy enthusiasts missed this opportunity, we made DRD Sparklers as a free entry tournament with a rich 2.8 Lakhs prize pool. We also increased the number of seats to 2496 for each day so that a large number of players can participate. To make things more interesting, in addition to the cash bonus prizes that the players can win, they were also given free tickets to participate in DRD Maroon which happens to be the semifinal of this Diwali Extravaganza. 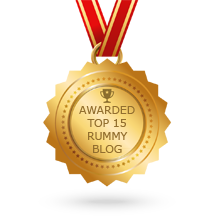 True to our expectation, rummy players across the country participated in this tournament enthusiastically. Spread over 7 days with a daily prize pool of Rs. 40000, the tournament saw full house participation each day. Just like all the special tournaments, DRD sparkler was gripping from start to finish. Every day was a battle with players gunning for each other’s throat to move ahead to the next round. Patience, hard work and focus always pay off and several players walked out with cash bonus prizes and free tickets to the next round. 2450 players secured free tickets to the next round. Now with the qualifiers completed, the stage is set for the semifinal aka DRD Maroons. Scheduled to held from Nov 1-3, the rummy tournament comes with a prize pool of Rs. 2.25 players. In addition to the free tickets issued, the tournament is open for general players as well with a buy-in of just Rs. 100. We want to take this opportunity to thank all the players who participated in DRD sparklers and have shown their consistent support and helped us in making this tournament a super success. Sharpen your skills and hit the tables from Nov 1-3 for DRD Maroon to win bumper cash prizes. Have an awesome time in our tables! The festival of lights is about to come in a few days. Yes, we are talking about the Diwali. No other festival matches the excitement and fun that Diwali generates. Be it the joy of wearing new attire, bursting crackers, gorging on sweets, no festival generates immense excitement as much as Diwali. That’s the reason Diwali remains as the top Pan-Indian festival. Celebrated with great excitement and grandeur all over India, different cultures have different ways of celebrating it. However, the excitement and joy would remain the same. Diwali also called as Festival of Lights, represents the triumph of good over evil, knowledge over ignorance and hope over despair. Aside from traditional methods of celebrating by bursting crackers, there is a wide range of activities conducted during Diwali like cleaning, gift-giving, and the lighting of Diyas. The most another important aspect of Diwali is playing rummy card games. After the festival celebration, it is not surprising to see families relax playing rummy card games. After the game went online, many rummy sites enthrall their user-base with a lot of promotions, offers, and special giveaways. These promotions certainly add a lot of excitement to the festival. 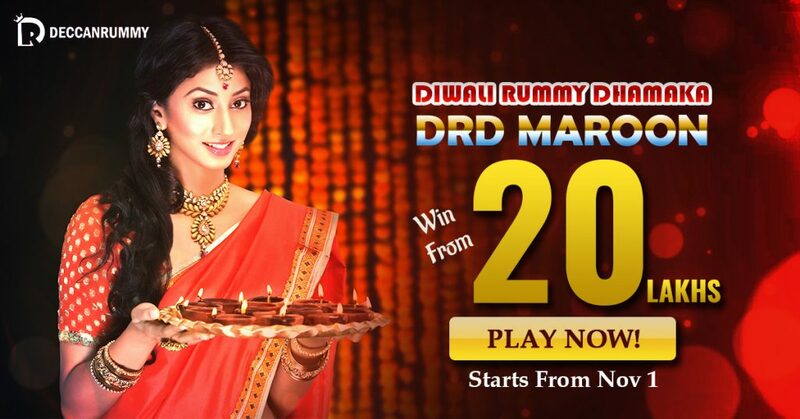 India’s largest rummy site, DeccanRummy.com holds the tradition of hosting spectacular Diwali tourneys every year. Our Diwali tournament has the history of attracting the best rummy minds across India and the contest has been gripping and exciting. This year too, we have a special tournament exclusively for our players. This time, it’s big! When we say big it’s HUGE! Gear up for our Diwali Rummy Dhamaka Rummy Freerolls that comes with a mammoth prize pool of Rs. 20 Lakhs. Did you hear that right? Yes, there is 20 Lakh up for grabs the whole fortnight from Oct 22 – Nov 6. You know, what’s the best part about this tournament? You have a chance to win a mammoth cash prize without investing a single penny! Yes, you can find your way to win big money, if you sail through our qualifiers which are absolutely FREE! 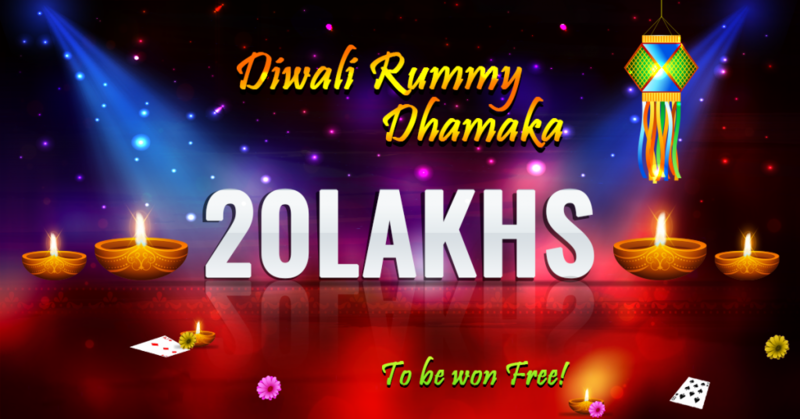 Conducted over the span of a fortnight from Oct 22-Nov 5, Diwali Rummy Dhamaka comes with a guaranteed prize pool of Rs. 20 Lakhs and is open to players for FREE. This tournament is set to record the highest number of participants bringing the nation’s best rummy players under one roof. Expect the contest to be intense and more stimulating. In addition to the above tournament, we have a lot of exciting value additions as well – Special gift raffle, Special Free Cash Rummy tournaments, Special Social Sharks and a lot more with exciting prizes up for grabs. 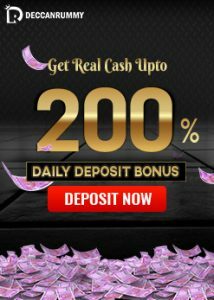 The total prizepool of our Diwali Freerolls is going to be a humongous Rs. 20 Lakhs. So, this is something very exciting that you cannot miss! The Diwali Rummy Dhamaka Tourney promises to take tourney experience to a whole new level. With a host of players across India vying for the top spot, it takes immense passion and skill to prevail and come out on top. So do you think you have it in you to seal the top spot? All you have got to do is to sign up for the qualifiers and move on. 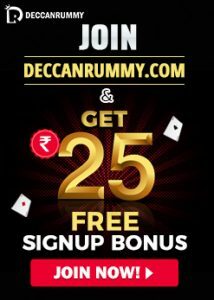 A venture of Deccan Games, Deccan Rummy is one of India’s pioneer online rummy platforms presenting a world-class experience for practicing & playing Rummy games for free. The platform allows users to play the captivating game of rummy with real cash – with stakes as low as Rs. 5 and going all the way upto Rs. 10000. Users can monetize their rummy skills and make huge money online with DeccanRummy. Furthermore, players can have a good grasp of the game with our extensive rummy tutorials. To make the gaming experience complete, we also offer 24/7 round the clock support to our players.